Offering long and short-term furnished apartments – studio, one and two bedroom homes, conveniently located in Daphne, AL. Are you in need of furnished housing? If so, we have the perfect apartment for you. We offer furnished studio, one and two bedroom apartments. 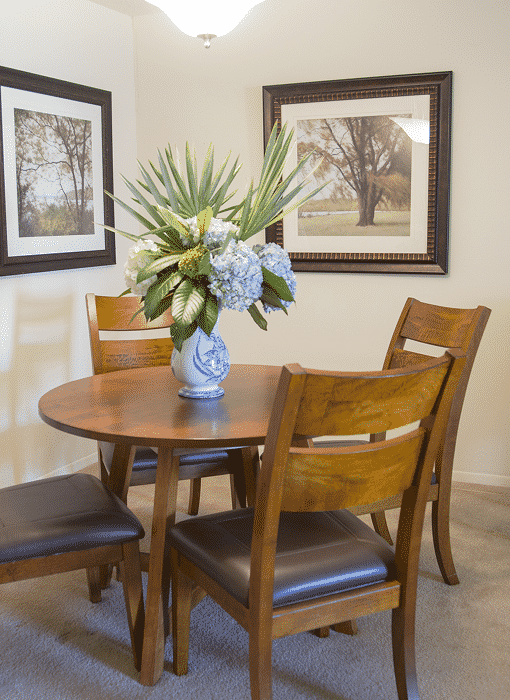 If you need more space, we also have furnished two bedroom townhomes. With flexible lease terms, we make your stay with us as easy as possible. The extra amenities that come with our furnished apartments will help you immediately feel right at home. The East Bay community is located right off Highway 98, just minutes from Interstate 10 for an easy commute to Mobile. Our furnished apartments are perfect for those in the Daphne or Mobile areas on a temporary job assignment. All corporate furnished apartments have washers, dryers, and fully appointed kitchens. All bath and bed linens are provided. Great experience! I leased a corporate apartment for a few months while my home was being built. Stephanie and team were fantastic and answered all my questions very quickly! Neighbors were great as well!